The story as a whole was pretty good though, and not what I had expected at all. 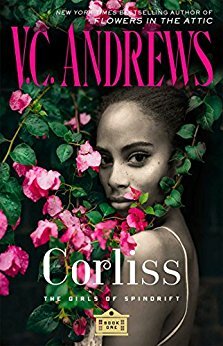 I liked Corliss. I didn't get why no one believed her, she seemed like a trustworthy gal from the get-go, but still she was doubted when she told what happened one night... that night. I'm looking forward to seeing what the next one, Donna, is about. I hope it's a lead-up for something greater. **No compensation was received for posting. Compensation may be earned from the links within.. A NetGalley copy was received for review purposes. Opinions are owned by Freda's Voice. While I like the idea of a special school for brilliant girls, not sure if this series is up my alley. Thanks for the honest review! I loved V.C. Andrews back in the day, the 80s and 90s. After awhile though since V.C. Andrews died, they started using ghost writers and that's when the books went down hill for me. I think the Logan series was my last. I think I may have started the Orphans or The Wildflowers but did not continue with them. I agree with you wholeheartedly about the slip of the writing since she has ghost writers now after death. Though as of late, they have gotten better again.